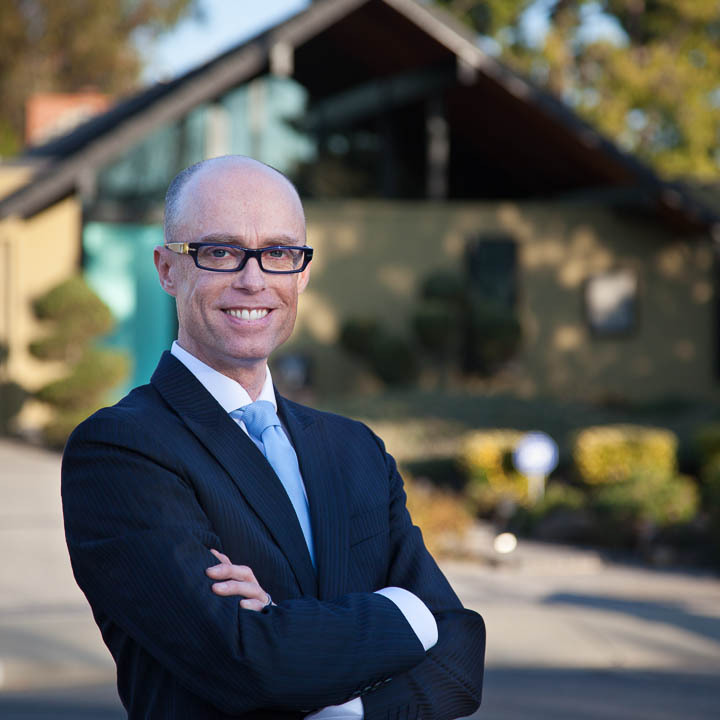 Mark Easterday and his team are honored to be the top-selling Eichler team in the Bay Area for 2013, and overall Eichler Homes Realty has sold nearly 100 Eichler homes! Eichler Homes Realty, founded in 1994 by Jerry Ditto who wrote the first Eichler coffee table book, continues operation today under Mark Easterday and his team. Selected by Jerry Ditto to take over the business in 2009, Mark and team have grown www.eichlerhomes.com to become the “go to” marketplace for the Eichler real estate community, proven by the over 20,000 page views per month. Mark visits hundreds of Eichler homes for sale, tracks sale prices for up-to-date market trends, shares comments about the condition and opportunity of each home, and invites homeowners and buyers to follow along. Mark has often used the analogy that Eichlers are now becoming similar to the “classic car”. We talk about what “vintage” your Eichler is (50s, or 60s, or even 70s); we ask what “model” do you have, of course referring to Atrium, or Courtyard, or Gallery; we even ask who was the architect firm who designed your Eichler as if it was a collectible car maker. Mark and wife, Sabrina, have owned their own Atrium model Eichler since 2001. “I feel like an ‘Eichler Archeologist’ by having seen the inside and outside of hundreds if not thousands of Eichlers, from the untouched original to the wildly remodeled. I get to see and feel Joesph Eichler’s vision by seeing every day how these homes were designed and built.” — Mark Easterday. Mark was quoted in the Wall Street Journal as an Eichler expert in a recent article discussing pricing trends and Eichler popularity. Mark was recently featured on HGTV as “Eichler Mark” when 2 friends on the hit show Flip It To Win It became involved in flipping a Cupertino Eichler and a Saratoga Anshen+Allen home. Mark invited HGTV to come visit an Eichler Homes client in Sunnyvale so America could see what a genuine Eichler home is all about. Marketing and Sales — representing and serving sellers to prepare your home by overseeing repairs like simple painting all the way to light remodeling if necessary, landscape cleanup and design so your home has the best curb appeal, and interior design with staging furniture and art so that your home shines in photos that attract a stream of buyers when we go on the market. Representing buyers who want an Eichler expert to help guide and advise them through all elements of the buying process, reviewing inspections and condition, and avoiding costly pitfalls. Design and Remodeling — because we have sold so many Eichler homes and have served dozens of buyers and sellers, we are uniquely positioned and qualified to offer advice on your next remodeling project. We have worked with many talented designers, architects, and contractors over the years and by no means are we trying to replace them, we are just offering free consultations to Eichler homeowners when they need to make decisions that might effect their sale price and desirability when the time comes to sell some years down the road. Property Management — from finding the right tenant who will appreciate your Eichler as much as we do to working with tradespeople who help us maintain your asset, our goal is to make sure your Eichler performs like the investment you want and remains in great condition for years to come.